In March 2014, FERC approved a revised definition of the Bulk Electric System (BES); a process for review of BES elements to allow for exceptions from the BES definition, where appropriate; and a process for entities to notify Regions of their self-determinations of BES elements. BESnet is a web-based ERO Enterprise-wide application for the secure submittal of BES Exception Requests (Requests) and Self-Determined BES Notifications (Notifications). NERC and the Regions review all submitted Requests and Notifications through the BESnet application. This tool is intended to enhance efforts to identify, prioritize, and resolve alignment issues across the ERO Enterprise. Registered entities (or other industry stakeholders) may use it to report any perceived inconsistency in the approach, methods, or practices implemented and executed by the Regions. The Extranet provides an efficient method for ReliabilityFirst to securely collaborate and exchange information with entities. 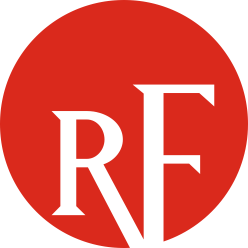 ReliabilityFirst uses MKInsight to securely collaborate and exchange information with entities during Compliance Audits and Guided Self-Certifications. See the MKInsight guidance documents below for additional information. The web-based Compliance Data Management Data System (webCDMS) assists entities in documenting and submitting NERC and Regional compliance information. The system enables entities to report compliance through the discovery methods defined in the CMEP, and track a possible noncompliance through completion. WebCDMS also allows entities to view Regional and NERC Requirements by an entity's registered functions, generate compliance reports, and track mitigation plans. See the webCDMS guidance documents below for additional information. For technical support questions, contact the OATI Help Desk at support@oati.net, or by calling (763) 201-2020. For general questions regarding webCDMS, email portalsupport@rfirst.org.